A neat and tidy office space clears the way for higher productivity, less wasted time, and reduced stress in your workday. Organizing your office requires some planning, commitment, and consistency. So, if you are ready to get started the following tips can be practical to transform your office into an efficient workspace. 1. Clear it! Remove everything, clean it thoroughly and put back only those items that are essential for daily use. At the end of your working day, do a quick clean-up of your desk, so you can start the next day with a clean organized desk. 2. Purge it! Purge paper and file your important paperwork in a portable categorized filing system. There’s no right or wrong way when it comes to developing a filing system. Create something that works for you personally and for your business style. Make it into a habit to sort, file, and purge paper and electronic documents. Purge any other office supplies that are no longer working or have not been used in a few months. 3. Categorize it! Organize your office into categories by placing like items together. This will make your office more functional. Some examples of categories are: mail (envelopes, stamps, address labels), writing tools (markers, pens, pencils), printer (paper, ink, and other printer related items), and bills. Creating working zones by deciding what type of activity happens in which area of your office can also increase productivity. 4. Store it! Store office supplies, paperwork, and other office items in containers, drawers, and bins. Place them in cabinets to keep them out of sight and give your office a decluttered clean look. 5. Label it! 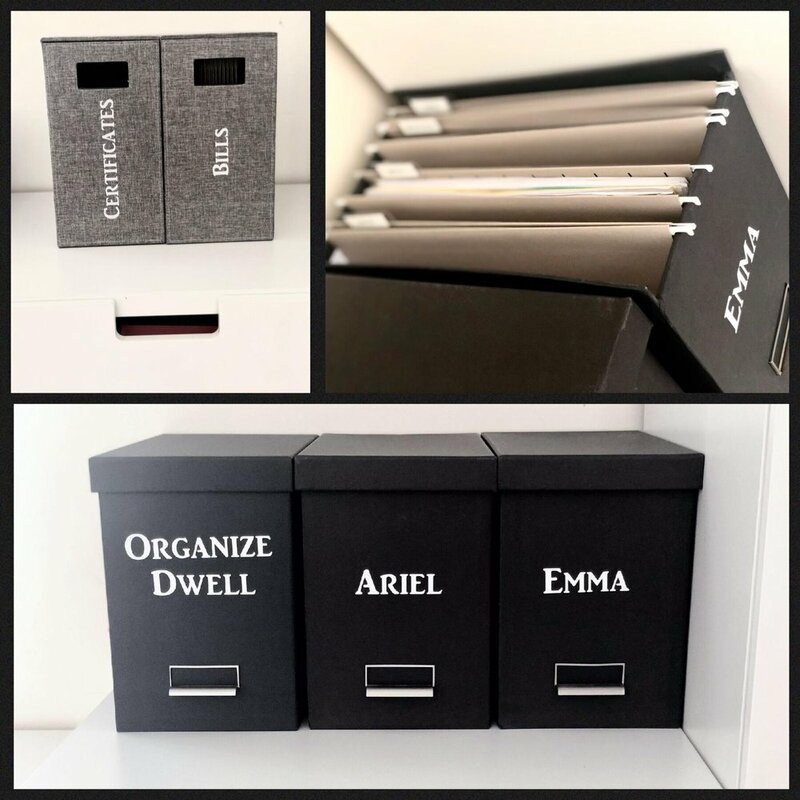 Use a good label maker to label files, drawers, containers, and shelves for an easy way to organize your office. Not only will you be able to find and access needed items quickly without wasting time, but it will also help others find, use, and put away anything in your workspace. Use one tip or try them all to convert your workspace from stressful to peaceful and help boost your productivity by making materials and other work related items accessible and easy to find.